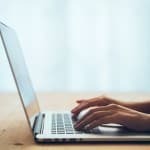 Who Should Consider Suboxone Detox? Many heroin recovery medications must be closely monitored in order to prevent abuse. This means that recovering heroin users must either stay at an inpatient facility or get their medication doses only at particular times in particular places. For many, this limited access to the medications makes recovery difficult to stick with. Suboxone is one of the first medications to address this issue, allowing the recovering user to take vital medications at home as prescribed for outpatient use. 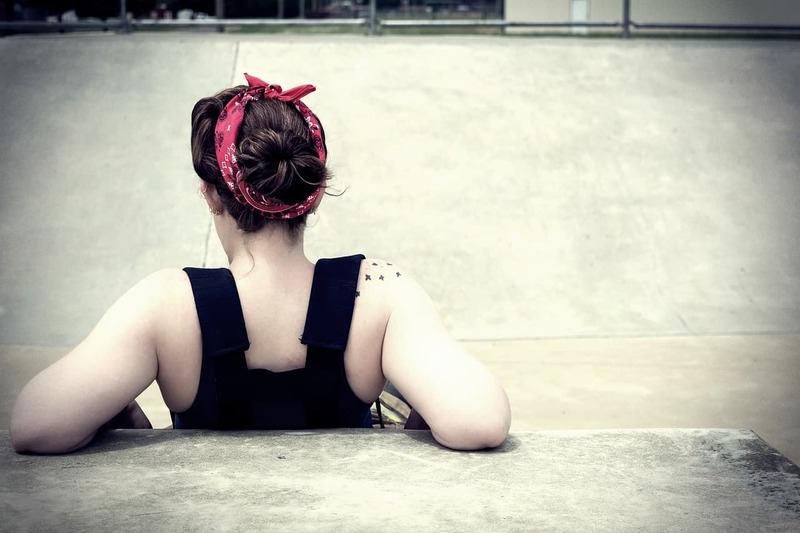 While Suboxone isn’t for everyone, it has offered notable help for certain individuals. 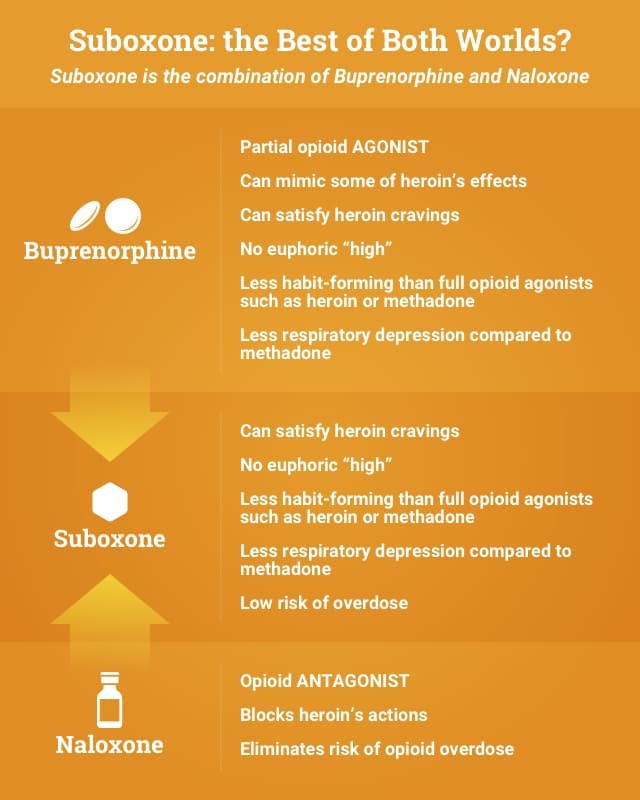 Suboxone helps reduce cravings while also blocking the euphoric, addictive effects of heroin use. Suboxone is a brand-name medication used to help with heroin detoxification and recovery. It was developed to address the need for an at-home prescription recovery regimen that heroin users would have an easier time adhering to and accessing. Suboxone is initially administered under the tongue – either in tablet form or as a sublingual film. Suboxone used as maintenance therapy may also be administered as a buccal film that is applied to the inside of the cheek. The combination of these two drugs – known as Suboxone – results in reduced cravings (due to the buprenorphine) without risk of overdose or drug abuse (due to the naloxone). As with almost any therapeutic treatment, there are a number of both pros and cons to consider when evaluating with your healthcare professional whether or not Suboxone detox is right for you. Because the naloxone in Suboxone helps prevents abuse, Suboxone can be self-administered at home with a prescription. Cravings are reduced without the addictive “high” of heroin. Some heroin abusers may use Suboxone as a “filler” to prevent uncomfortable periods of time in between using, rather than using it to help them through recovery. Suboxone has the potential for dependency, though the abuse potential is still lower than that of methadone. Suboxone can pose potential risks for recovering heroin users who drive or operate heavy machinery. Sleepiness, dizziness or problems with coordination. Opioid withdrawal (shaking, sweating, fever, runny nose, watery eyes, goose bumps, diarrhea, vomiting and muscle aches). Suboxone detox tends to be most effective for moderate to heavy heroin users. It helps reduce cravings while at the same time blocking the euphoric, addictive effects of heroin use. Suboxone detox tends to be most effective for moderate to heavy heroin users. In decreasing doses over time, Suboxone is an effective abstinence maintenance medicine. The maximum potential benefit of Suboxone therapy occurs in combination with counseling or therapy.14 Suboxone treatment is not right for everyone, however. Treatment plans should be individualized, as each person can react differently to medications. 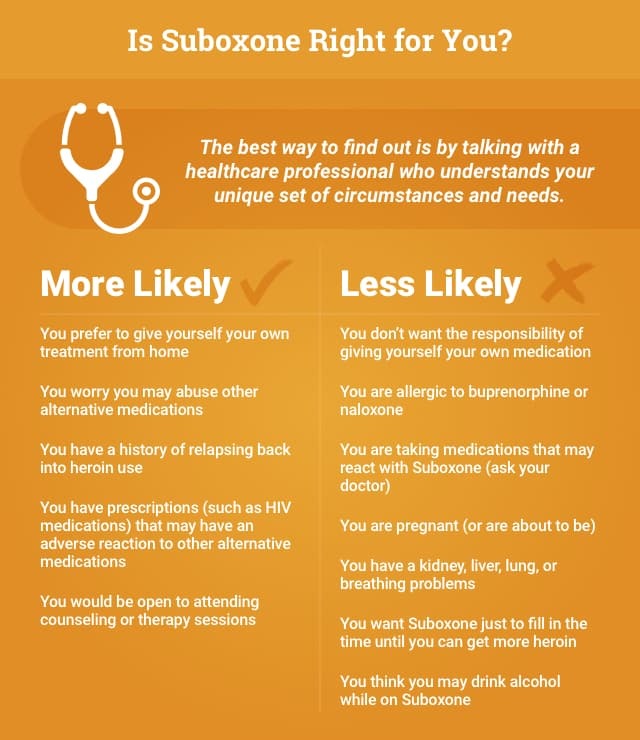 The best way to find out if Suboxone is right for you is by speaking with a healthcare professional who understands your unique set of circumstances and needs. You prefer to self-administer your treatment at home rather than stay at an inpatient clinic. You are concerned that you may end up abusing other opioid replacement medications (such as methadone). You have a history of relapse. Your current prescription regimen (e.g., some HIV medications) may be contraindicated for use with another type of opioid replacement medication. You are open to attending counseling or therapy sessions to supplement the medication. You do not want to bear the responsibility of dosing your own medication treatment. You are taking medicines that may have a reaction with Suboxone (ask your doctor about this). You have breathing or lung problems. You are worried that you might use it to simply stave off withdrawal until you can get more heroin. You are also struggling with alcoholism, or you plan to drink alcohol while taking Suboxone. The price of Suboxone depends on how many tablets you buy, where you buy them, and what the dose is. Most insurance plans and Medicare will cover the drug. Price info is below. Keep in mind that Suboxone purchased on the street will probably be more expensive. Note: Subutex, a branded form of Suboxone, is no longer available. National Institute on Drug Abuse. (2018). What are the treatments for heroin addiction. Substance Abuse and Mental Health Services Administration. (2016). Buprenorphine. Substance Abuse and Mental Health Services Administration. (2016). Naloxone. CRC Health. Suboxone vs. Subutex – What’s the difference? The National Alliance of Advocates for Buprenorphine Treatment. Dosing guide: For optimal management of opioid dependence. Johnson, R. E., Eissenberg, T., Stitzer, M. L., Strain, E. C., Liebson, I. A., & Bigelow, G. E. (1995). A placebo controlled clinical trial of buprenorphine as a treatment for opioid dependence. Drug and Alcohol Dependence, 40, 17–25. Rapelli, P., Fabritius, C., Alho, H., Salaspuro, M., Wahlbeck, K., & Kalska, H. (2007). Methadone vs. buprenorphine/naloxone during opioid substitution treatment: A naturalistic comparison of cognitive performance relative to healthy controls. BMC Clinical Pharmacology, 7, 1–10. O’Connor, P. G., & Fiellin, D. A. (2000). Pharmacological treatment of heroin dependent patients. Annals of Internal Medicine, 133, 40–54. Pirastu, R., Fais, R., Messina, M., Bini, V., Spiga, S., Falconieri, D., & Diana, M. (2005). Impaired decision-making in opiate-dependent subjects: Effect of pharmacological therapies. Drug and Alcohol Dependence, 83, 163–168. McCance-Katz EF, Sullivan, L, Nallani S. (2010). Drug interactions of clinical importance among the opioids, methadone and buprenorphine, and other frequently prescribed medications: a review. Am J Addict. Jan-Feb;19(1), 4-16. Sittambalam, C. D., Vij, R., & Ferguson, R. P. (2014). Buprenorphine Outpatient Outcomes Project: can Suboxone be a viable outpatient option for heroin addiction? Journal of Community Hospital Internal Medicine Perspectives, 4 (2).